Michelina delivered a medium silver grey male cria 6/14/2017 sired by Snowmass Midnight Diamante. 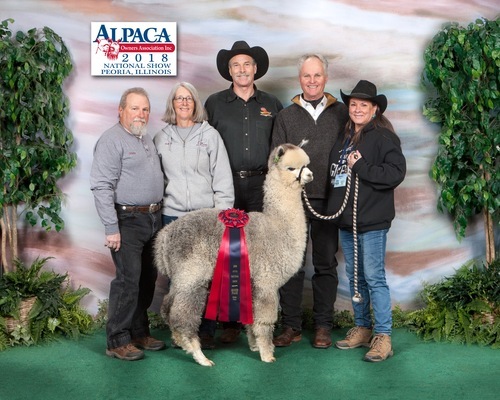 Michelina delivered a dark silver grey male cria 9/2/2018 sired by Snowmass Midnight Diamante. SA Crown Diamond caught our eye at 2018 AOA Nationals and after putting hands on him we decided he needed to be part of Pleasant Journey Alpacas! 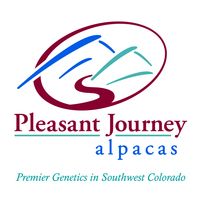 Our friends at Alpacas of Moose Creek jumped on board for a co-ownership. 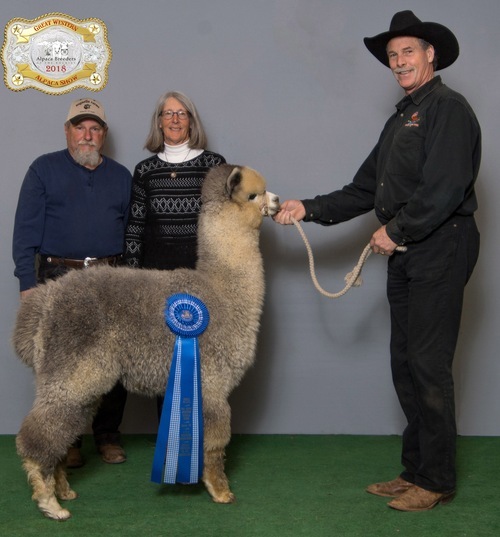 Diamond is a very handsome classic medium silver grey male that is loaded with long stapled fleece. Great crimp style and soft handle. Density rounds out the package! 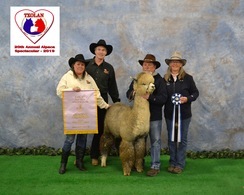 We are excited to continue to show this male and then put him into our grey breeding program.